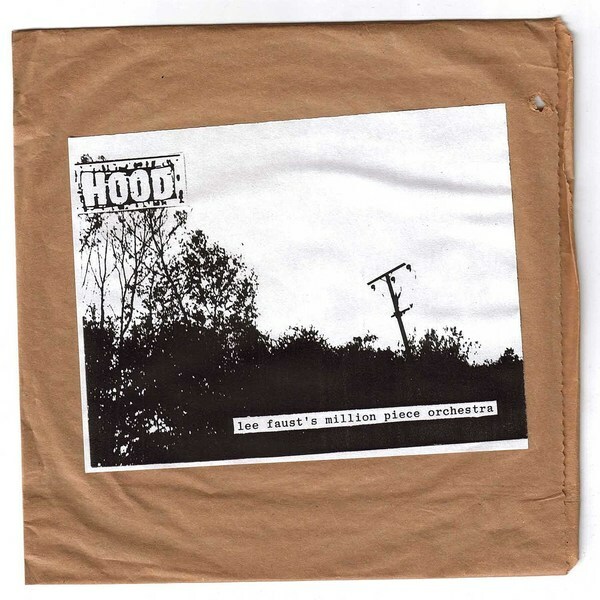 Originally released in a limited edition run of 7"s on 555 Recordings during 1995, Lee Faust's Million Piece Orchestra now gets a digital reissue, combining with other limited singles tracks, including 1998's (The) Weight plus a remix and alternate, unreleased mix of (The) Weight's title track. This music represents a very different side to Hood than the kind of adventurous yet polished post-rock the band made for Domino, and instead showcases the Yorkshire group's most experimental, lo-fi leanings. Mixing electronics with scratchy violins, decrepit sounding guitars and heartbreakingly melancholic avant-folk miniatures this side of Hood's output feels like the outcome of potting shed experiments rather than fully formed productions. 'Fallen Farmer' serves as a good example of what's going on here, with its eerie and altogether haunting refrain about "the sound of the trees, thrashing in the breeze". It might be said that in these fragmented, sketch-like formats Hood's music is at its most powerful, taking on a character that's every bit as rustic and locked into weather-beaten landscapes as its subject matter.